Brazilians marched Saturday to mourn a female attorney allegedly thrown to her death from a fourth-floor window by her husband in an incident that drew more concern over rising violence against women. Hundreds of people attended a rally called by the lawyers’ association of Curitiba, capital of the state of Parana where Tatiane Spitzner died on July 22. Dressed in white, the crowd marched through the city before releasing a cloud of white balloons, footage on the association’s Facebook page showed. 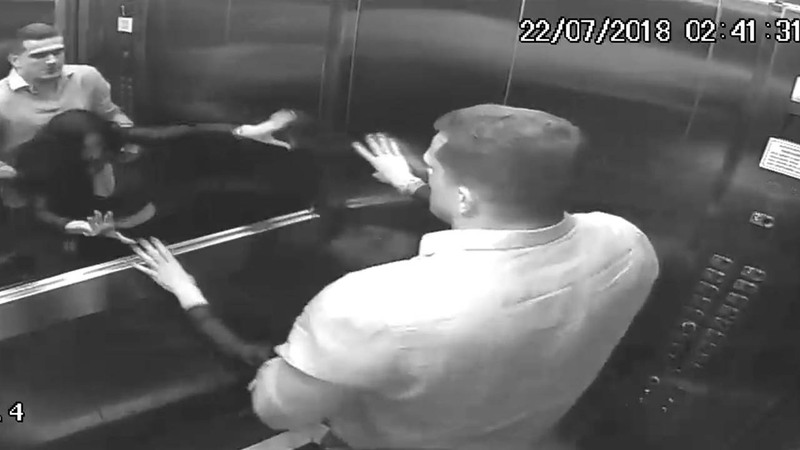 Spitzner’s husband is in custody, accused of battering his wife, preventing her from escaping, then forcing her into the elevator of their apartment building in Guarapuava before throwing her from a window. Lawyers for the man have said he is not guilty and a report on G1 news site Friday quoted the suspect as telling psychological evaluators that he thought his wife had jumped of her own accord. He claimed “he doesn’t remember what happened,” the psychological report said. Where there is no doubt is that the suspect started by beating and kicking his wife repeatedly. Footage of the assault was captured on security cameras, causing an outcry when first broadcast on national television earlier this month. Activists have seized on the shocking footage as an example of a far wider problem of domestic violence and femicide in Latin America’s biggest country. A respected annual report released this week by the non-profit Brazilian Forum for Public Security found a six percent increase in murders of women in 2017. These included 1,133 deaths as a result of femicide, or victims being deliberately targeted because they were female. The 60,018 rapes were up more than eight percent compared to 2016. The victim’s father, Jorge Spitzner, attended the Curitiba demonstration Saturday, where he said that gender-related hate crimes “plague our country,” G1 reported.